Now that it’s September, the 22nd annual Word Vancouver festival is just around the bend! Join us for the main festival day on Sunday, September 25 in and around the Central Branch of the Vancouver Public Library, and for our satellite events taking place throughout the city from Wednesday, September 21 to Saturday, September 24. The big Sunday event will once again feature our exhibitor marketplace, readings, panel discussions, writing workshops, site performers, family activities, and more, but you’ll notice our venue names have changed this year! Suspension Bridge will have two panels, “Demystifying the Submission Process” and “Fresh Blood,” a PRISM international showcase, and author readings from Yasuko Thanh (Mysterious Fragrance of the Yellow Mountains), Jen Sookfong Lee (The Conjoined), Ronald Wright (The Gold Eaters), Charles Demers (The Dad Dialogues), and more. Our poetry venue will move back into a tent this year and is called Sunrise Suite. Here you’ll find readings by Kim Fu (How Festive the Ambulance), Garry Gottfriedson (Deaf Heaven), Carla Funk (Gloryland), Juliane Okot Bitek (100 Days), and bill bissett (th book), as well as presentations from the Dead Poets Reading Series and six of the 2016 Poetry in Transit poets. The Underground will once again feature comics and chapbook programming, including “Chapbook Races with Kevin Spenst,” the panel “Comics and the Creative Process,” “Drawing Autobiographical Comics with Sean Karemaker,” and chapbook readings from Leaf Press and above/ground press authors. You’ll find more workshops and author presentations in Port of View and Perspective Point, including “Family as Inspiration: A Fiction Workshop with Simon Choa-Johnston” and “Invitation to English Tanka with Kozue Uzawa” in Port of View; and “Chalk Talk with Lynn Johnston,” an author presentation by Erik Bjarnason (Surviving Logan), “The Hustle with JJ Lee,” and “Creating an Excellent Book with Craig Shemilt” in Perspective Point. Children’s and family programming will be found at The Quay, Imagination Island, and The Dock. 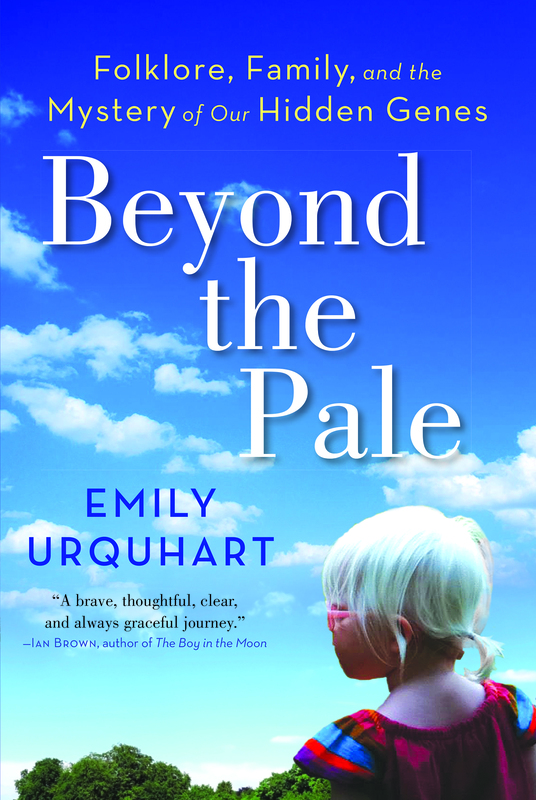 The Quay will feature readings including Ellen Schwartz (Heart of a Champion), Uma Krishnaswami (Book Uncle and Me), Jordan Stratford (The Case of the Girl in Grey), and Laura Bifano (In the Red Canoe); and drawing workshops with For Better or For Worse creator Lynn Johnston. On Imagination Island, families and kids will find plenty of fun interactive activities, such as literary art making, book-making stations, trivia, and more. 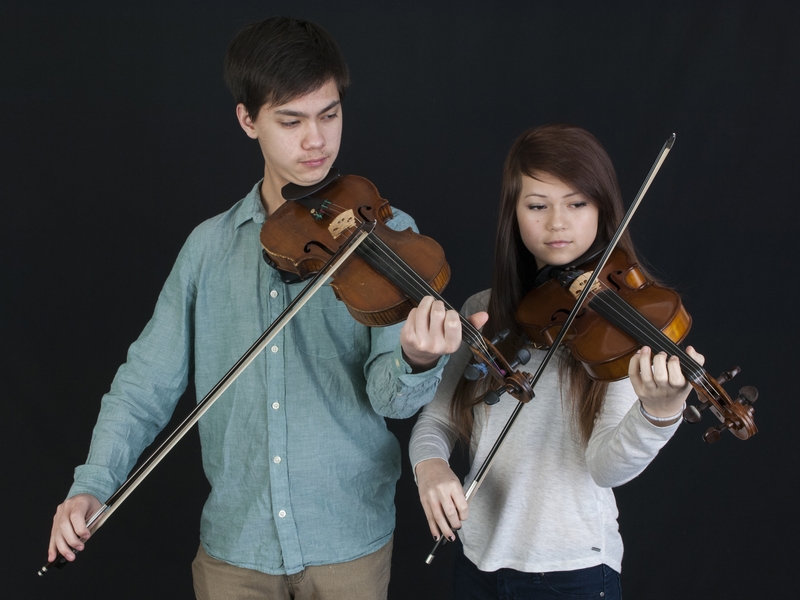 Performances at The Dock will include M’Girl, Dixie Star Storytelling, Fiddlin’ Frenzy, and Vancouver Youth Theatre. In addition to our Sunday programming, we also invite you to join us on Wednesday, September 21 at The Emerald for the Poetry in Transit 20th–Anniversary Celebration; Thursday, September 22 at Banyen Books & Sound for a presentation and book signing with Mark L. Winston (Bee Time: Lessons from the Hive) and The Cottage Bistro for the Twisted Poets Literary Salon; Friday, September 23 at Christianne’s Lyceum for An Evening of Faerie Magic and Historic Joy Kogawa House for “Sober Second Thoughts with Shaughnessy Bishop-Stall”; and Saturday, September 24 at The HiVE for a day of professional development workshops, Carnegie Community Centre for Type Up!, and CBC Studio 700 for the Pandora’s Collective Literary Awards Gala. Be sure to check out the official program guide for a full listing of events, or the Schedule page on our website for the most up-to-date information. Word Vancouver is Back in 3 Weeks! 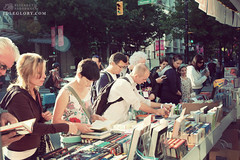 In just three weeks, Word Vancouver will return for its 21st annual festival! The main festival day will take place at Library Square on Sunday, September 27, with satellite events taking place at locations throughout the city from Wednesday, September 23 to Saturday, September 26. And as always, everything is FREE! Our main festival day you know and love will feature an exhibitor marketplace, author readings, workshops, panel discussions, entertainment, and more. Author readings will include Arthur Black (Paint the Town Black), Stan Persky (Post-Communist Stories), Emily Urquhart (Beyond the Pale), and George Bowering (Ten Women) in Canada Writes; Rachel Hartman (Shadow Scale), Owen Laukkanen (The Stolen Ones), and Ashley Little (VPL Writer in Residence) in Authors’ Words; Julie Flett (Dragonfly Kites), Robin Stevenson (The Summer We Saved the Bees), and Troy Wilson (The Duck Says) in Kids’ Words; and Sandy Shreve (Waiting for the Albatross), Daphne Marlatt (Liquidities), Chelene Knight (Braided Skin), and John Pass (Forecast) in Poetry On The Bus. At the same time these author readings are taking place, you will also find workshops and panels such as “How to Captivate Readers through the Senses with Helen Polychronakos” and “Getting Started and Staying Motivated as a Published Children’s Book Author” in Writing Talks and Word Talks; and Magazine Words will once again feature presentations, readings, and panels from local literary magazines such as Room Magazine and Ricepaper Magazine. New for this year’s festival are Underground Words + Art, featuring comic and chapbook exhibitors and programming, and the Family Stage, featuring family friendly activities and entertainment. 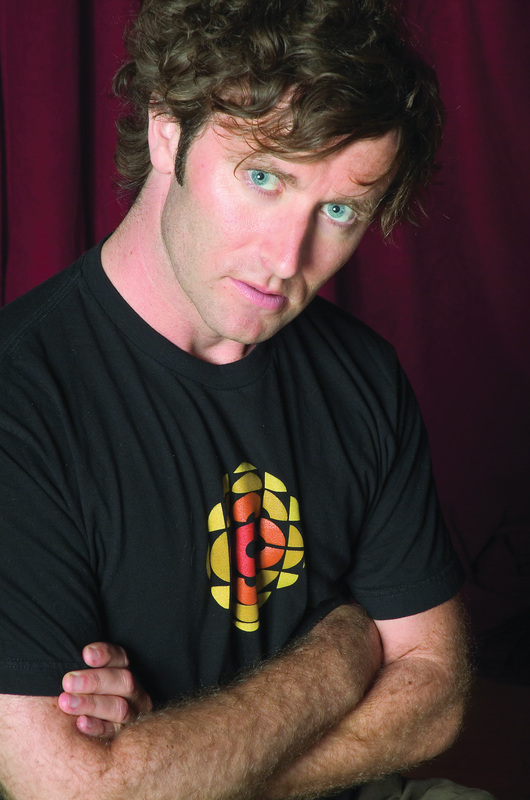 Programming in Underground Words + Art will include a “Comics Workshop for Beginners with David Lasky,” readings from the chapbook Cascadia, and the panel “Comics: DIY and Self-Publishing.” Family Stage programming will include Dixie Star Storytelling, Vancouver Youth Theatre, and Fiddlin’ Frenzy. In addition to the main festival day programming, you are invited to join us on Wednesday, September 23 at SFU Harbour Centre for the Launch Party for The Revolving City: 51 Poems and the Stories Behind Them; Thursday, September 24 at The Cottage Bistro for Pandora’s Collective Twisted Poets Literary Salon; Friday, September 25 at Christianne’s Lyceum for “Adventure Awaits,” Banyen Books & Sound for a presentation and book signing with Kemila Zsange, Historic Joy Kogawa House for “Adventures in Song and Story with Grant Lawrence,” and CBC Studio 700 for the Pandora’s Collective Literary Awards Gala; and Saturday, September 26 at the VPL Central Branch for a full day of professional development sessions on a variety of topics. For a full list of programming, take a look at our official program guide, or visit the Schedule page on our website for the most up-to-date information. Our 20th annual festival was a whale of a good time! Following events at The Paper Hound, Banyen Books & Sound, The Cottage Bistro, Christianne’s Lyceum, Historic Joy Kogawa House, VPL Central Branch, and SFU Harbour Centre from Wednesday, September 24 to Saturday, September 27, our main festival day returned to Library Square on Sunday, September 28 in all its glory. With clear blue skies above, festival attendees enjoyed entertaining performances, thought-inspiring readings, educational workshops, and more! New to this year’s festival were the Words On Chapbooks venue, which featured chapbook exhibitors, readings, and a panel; and the Pop-Up Magazine Stand, where free magazines were given out to passers by in downtown Vancouver during festival week. Did we mention that all the events were 100% free? Here at Word Vancouver, we believe that that is one of the best things about the festival, and that’s why we introduced our Keeping It Free campaign this year. Thank you to all the donors who donated to the campaign through Indiegogo. We appreciate your support of the festival! We are already looking forward to next year’s festival, and we hope to see you all there again! Word Vancouver Returns in 2 Weeks! Word Vancouver returns for it’s 20th annual festival this month, and we’re very excited about it! Join us at Library Square on Sunday, September 28 for the main festival day you know and love, as well as at the other venues hosting awesome events throughout Vancouver from September 24-27. Our main festival day will once again host our bustling exhibitor marketplace and be jam packed with a huge variety of presentations, activities, and entertainment. Author readings will include Ashley Spires (The Most Magnificent Thing) and Sarah Ellis (Outside In) in Kids Words; Janet Rogers (Peace in Duress), Billeh Nickerson (Artificial Cherry), and Renée Sarojini Saklikar (children of air india: un/authorized exhibits and interjections) in Poetry On The Bus; Nancy Lee (The Age), Grant Lawrence (The Lonely End of the Rink: Confessions of a Reluctant Goalie), and Kevin Chong (Northern Dancer) in Canada Writes. In addition to all the awesome author readings, we will also have a number of presentations from local literary magazines, including subTerrain, EVENT, and PRISM international, in Magazine Words. If you love panel discussions, be sure to check out Word Talks. You’ll learn from the experts about “Getting Started and Staying Motivated as a Published Children’s Book Author or Illustrator,” “The Importance of Diversity in the Publishing Industry,” and “Creating Outside the Box.” As always, there will also be a wonderful variety of workshops in Writing Talks, including “Have You Started Writing Your Memoirs Yet?” with Naomi Beth Wakan and “Book Design for Self-Publishers” with Peter Cocking. Many more workshops will take place at the Vancouver Public Library Central Branch on Saturday, September 27 as well. A new addition to this year’s festival is the Words On Chapbooks venue. Here you will find chapbook exhibitors, readings, and a panel discussion. For another great chapbook event, register for Heidi Greco and S.R. Duncan’s chapbook-making workshop entitled “Chapbooks: From Inspiration to Marketing,” which will take place at SFU Harbour Centre on Saturday, September 27. In addition to our main festival day and the workshops taking place on Saturday, September 27, there will also be readings and events held at The Paper Hound and Banyen Books & Sound on Wednesday, September 24; Banyen Books & Sound and The Cottage Bistro on Thursday, September 25; and Christianne’s Lyceum and Historic Joy Kogawa House on Friday, September 26. For the full schedule of events, you can view the official program guide online or visit the Schedule page on our website for the most up-to-date information. This year’s festival boasts 20 workshops, 100 readings, and 150 authors; and everything is FREE! Here at Word Vancouver, we believe this is one of the best things about our festival, and we really want to keep it that way. But we need your help. Our Keeping it Free campaign on Indiegogo runs from September 8-29, and any amount you can donate would be greatly appreciated! We can’t wait to see you all at the festival! 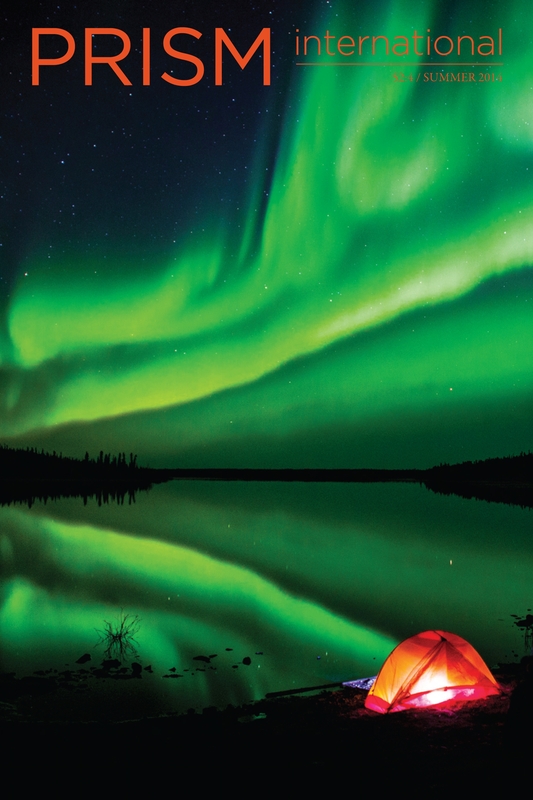 Western Canada’s primary literary festival returns in only two short weeks! We’re back with a new name and look and are very excited about the festival we have put together for you this year. Along with the debut of our new name and look, we are also introducing a new poetry initiative in 2013: The Automated Poetry Project. 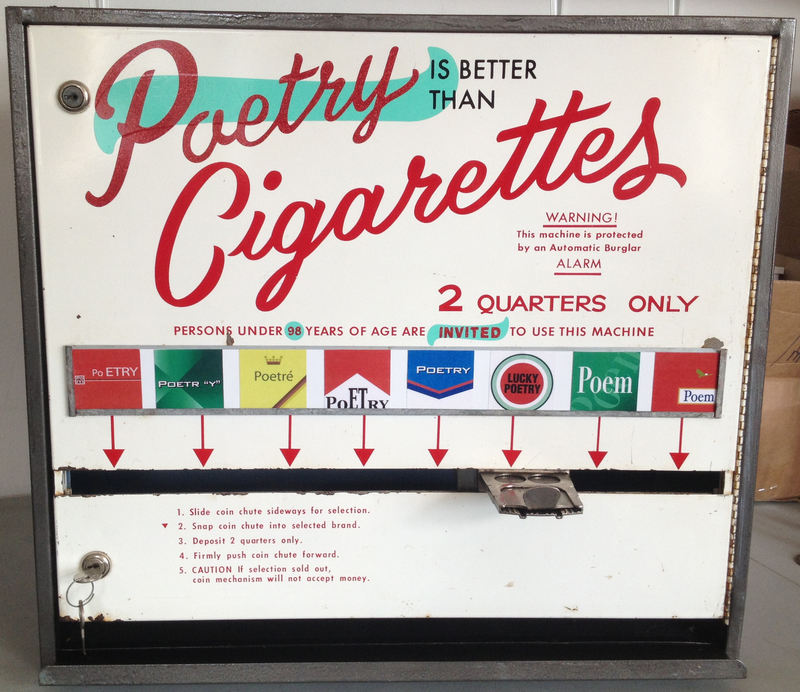 Through this project, Word Vancouver is transforming ordinary vending machines into poetry dispensers that will contain poems of BC and Canadian poets. The machines will be in multiple locations in downtown Vancouver during the month of September, including Bean Around the World at the corner of Hastings and Cambie and book’mark, The Library Store. There will be public readings by Automated Poetry Project poets as well, including one at a venue TBA on Wednesday, September 25. Stay tuned for more details! The popular Chapbook-Making Workshop returns to Carnegie Centre on a new day this year, Thursday, September 26. 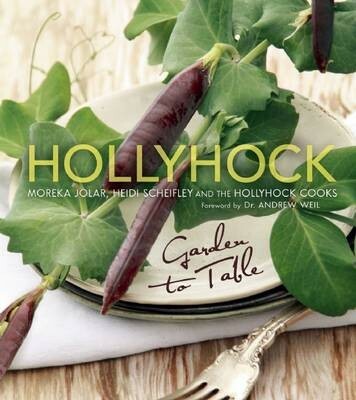 Also on Thursday is a demo and book signing at Banyen Books & Sound with Moreka Jolar and Heidi Scheifley, authors of Hollyhock: Garden to Table; and Twisted Poets Literary Salon at The Cottage Bistro. Word Vancouver returns to Historic Joy Kogawa House on Friday, September 27, for “Genesis of Play and Screenwriting” with playwright Dennis Foon. Saturday, September 28, will bring a day full of professional development workshops at the Central Branch of the Vancouver Public Library. From “An Introduction to Story” with Nancy Lee to “Creating Content for Social Sharing” with Lisa Manfield, there are several useful workshops for writers of all levels. The main festival day you know and love returns to Library Square on Sunday, September 29. The bustling and vibrant exhibitor marketplace will be located on Library Square and along Homer Street. Check out this year’s site map for full details about the site layout. You will notice on the map that our children’s venue, now called Kids Words, is located inside the library in the Harvey Southam Room (aka the children’s library). 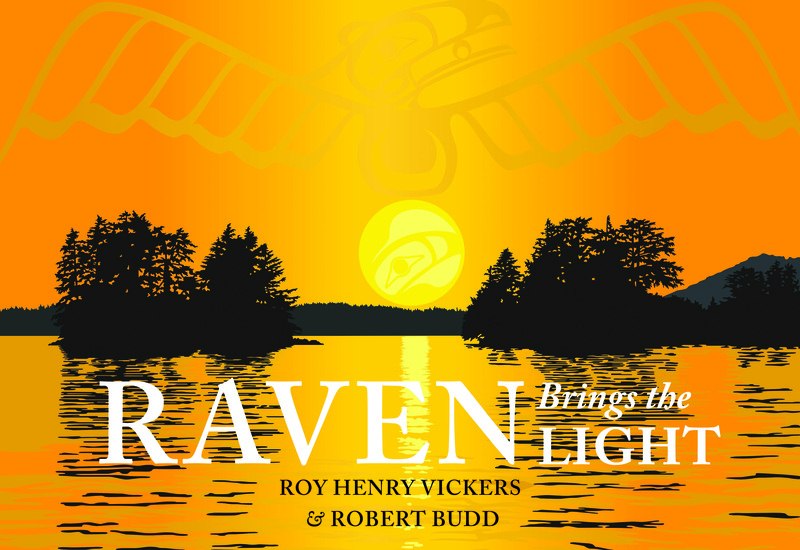 With authors such as Roy Henry Vickers and Robert “Lucky” Budd, Kallie George, and Sara Leach, there is something for children of all ages! There will also be plenty of fantastic readings for adults in our Canada Writes and Poetry Tents. 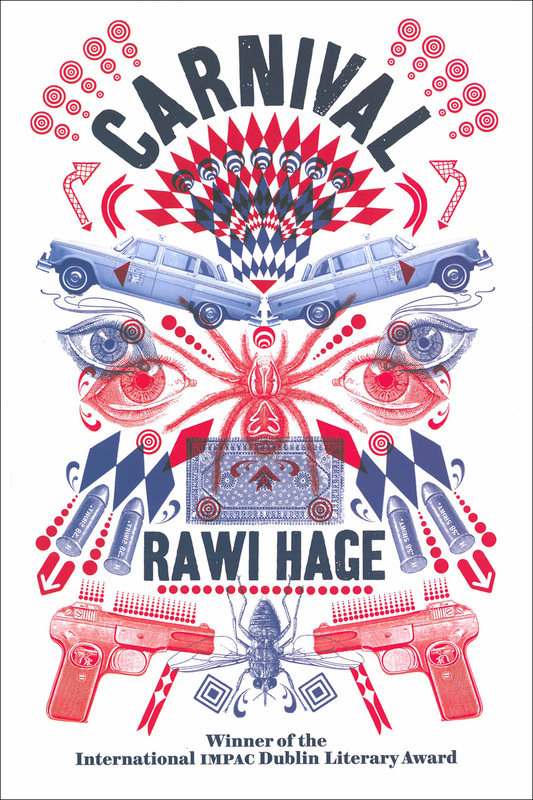 In the Canada Writes Tent you will find VPL Writer-in-Residence Rawi Hage, Peter Darbyshire, Adam Hart, Carellin Brooks, Shaena Lambert, and many more. 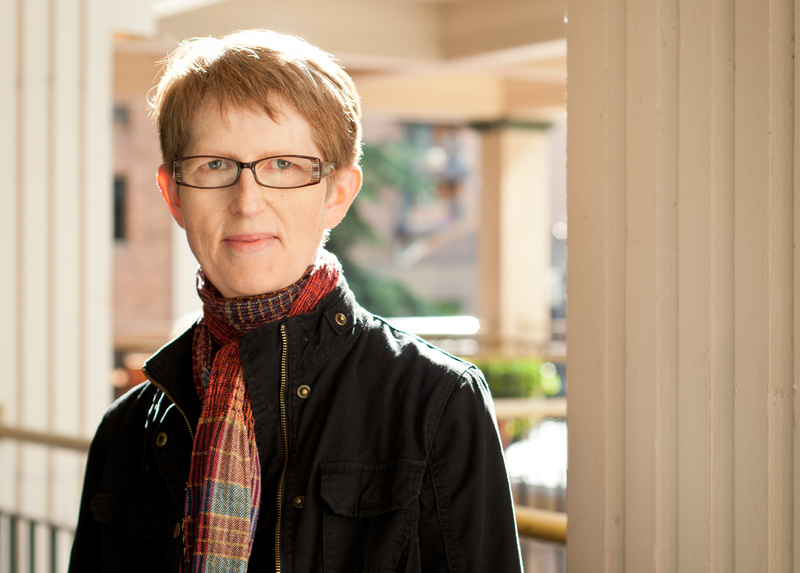 The Poetry Tent will feature readings from Amber Dawn, bill bissett, klipschutz, and Vancouver’s Poet Laureate Evelyn Lau. If you’re looking for more panels and writing workshops, you won’t be disappointed! Just visit Word Talks and Writing Talks downstairs in the library where you’ll learn about “Adapting Classic for the Stage,” gather tips on how to “Get Published” with Janet Love Morrison, and much more. And don’t forget the Mainstage! We have a superb lineup of talent to entertain festival-goers all day long. We are pleased to welcome back some of last year’s acts, including the Vancouver Youth Poetry Slam Team and The Ukesters, and also to welcome those new to the festival, including rockers Dead City Scandal and Mascall Dance. There’s a little bit of everything on the Mainstage this year, so be sure to grab a seat on the VPL steps and take it in! Want more details about this year’s festival? View our official program guide online or visit our website for the most up to date information. In addition to the bountiful book programming at The Word On The Street, there is also plenty of magazine programming to explore, including readings from literary magazine contributors, advice from experts, and more! This year’s line-up of exciting magazine programming begins at Carnegie Centre on Saturday, September 29, with readings from Megaphone contributors. It then continues on Sunday at Library Square with readings and presentations in the Poetry Tent, Authors Tent, and Magazine Life Tent. Be sure to drop by the Poetry Tent on Hamilton Street for readings from Malahat Review contributors Ben Rawluk, Russell Thornton, Rachel Rose, and Bren Simmers. Readings from Room Magazine contributors Carol Shillibeer, Fiona Tinwei Lam, Crystal Sikma, and Katherine Poyner-Del Vento will follow. 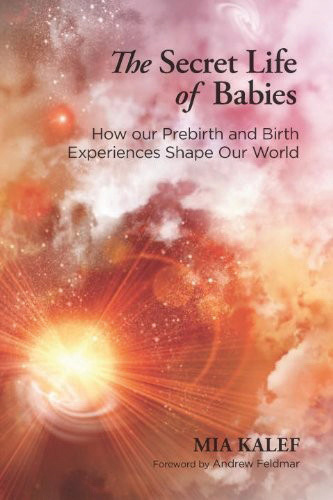 The Authors Tent will also host some excellent magazine readings, including subTerrain contributors Barbara Stowe and Madeline Sonik, and PRISM international contributors Yasuko Thanh and Katie Fritz. For a full day of magazine programming, check out the Magazine Life Tent! 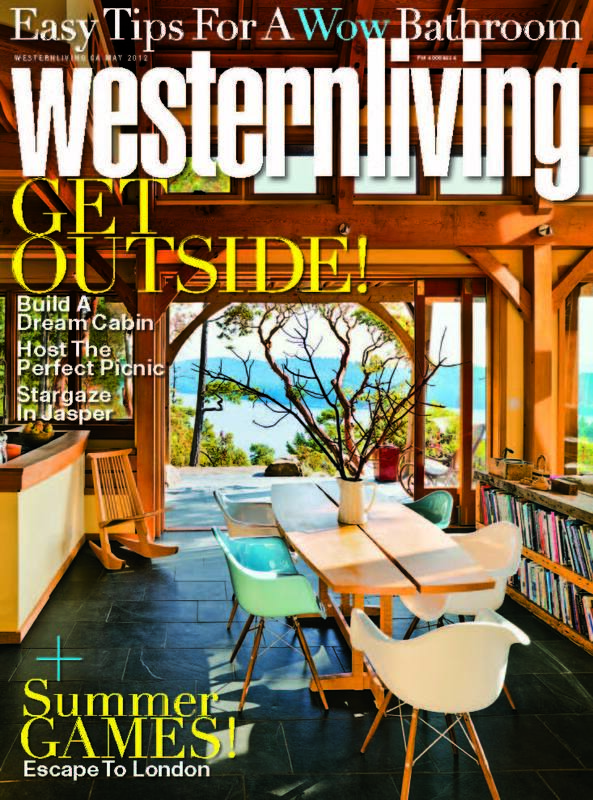 Learn about “Kale – The Easy to Grow Superfood” from BC Home & Garden contributor Sharon Hanna; how to “Make Your Home Magazine Beautiful” from Western Living‘s lifestyle and fashion stylist Nicole Sjostedt; and about “Healthy Eating on a Budget” from Health Action Magazine contributor Sondi Bruner. There will also be a discussion of the Sea Legs pinhole photography workshop conducted by Sad Mag and QMunity with queer youth; readings from Room Readers’ Choice Award semifinalists, as well as EVENT contributors Cathleen With and Evelyn Lau; and panel discussions including “There Is No ‘I’ in Reporter,” and Queer Poetics with Poetry Is Dead. 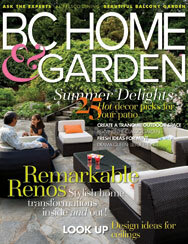 Full descriptions for all magazine programming can be found on our website or in the festival program guide. 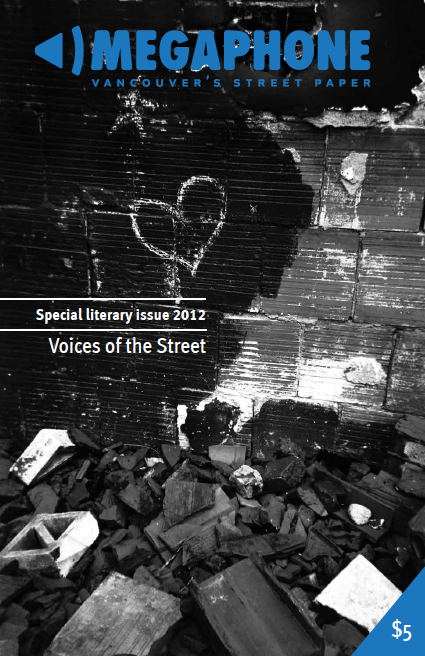 The Word On The Street Returns This Month! In just 3 weeks, Western Canada’s largest celebration of words and reading returns for its 18th year! Join us for a weekend jam-packed with FREE readings, workshops, entertainment, and more from Friday, September 28, to Sunday, September 30. As the festival draws near, we will be sharing all kinds of details about it here on the blog, so be sure to stay tuned! 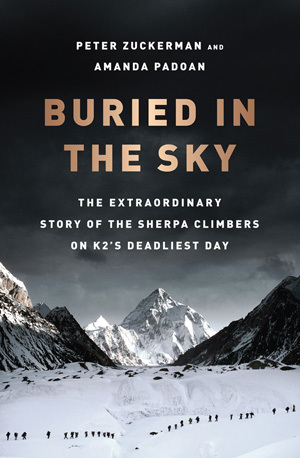 On Friday, September 28, join us at Banyen Books & Sound for a talk and book signing with Peter Zuckerman & Amanda Padoan, authors of Buried in the Sky: The Extraordinary Story of the Sherpa Climbers on K2’s Deadliest Day, or at Historic Joy Kogawa House for an evening with playwright Marcus Youssef as he previews two of his upcoming premieres – Winners and Losers and How Has My Love Affected You? On Saturday, September 29, we will return to Carnegie Centre for a day full of workshops and readings. Create your own chapbook with Mercedes Eng, learn how to do your best live reading with Hal Wake, join the DTES Poets for Open-Mic Poetry Night, and more! There will also be a workshop on writing, translation, and copyright held in the Alma VanDusen Room of the VPL Central Branch. We will be back at Library Square and CBC Plaza on Sunday, September 30, for the main festival day you all know and love! Explore the extensive Exhibitor Marketplace, where you will find a variety of writing and publishing related vendors located at tables and tents all over the festival grounds, including inside the library in the promenade and downstairs in The Word Under The Street. From publishers and literacy organizations to magazines and independent comic book artists, you will find freebies, merchandise, great info, and more in the bustling Marketplace! Take in a reading at one of our many author tents, and be sure to bring or purchase a book to have signed by your favourite author! Here are just a few of the authors appearing at this year’s festival: Annabel Lyon, VPL Writer-in Residence Meredith Quartermain, Chris Gudgeon, Arthur Black, George Bowering, WP Kinsella, Daniel Zomparelli, and Billeh Nickerson. There are many more booked, so be sure to visit our website or pick up a copy of the official program guide from your local library, bookstore, or coffee shop for a full list. In addition to readings, you can also join an author for a workshop in Word Talks or Writing Talks. Learn to write your memoir with Naomi Beth Wakan, how to compose a love letter with Ricepaper‘s Ray Hsu, the practice of prolific poetry with Madeline Sonik, and more! 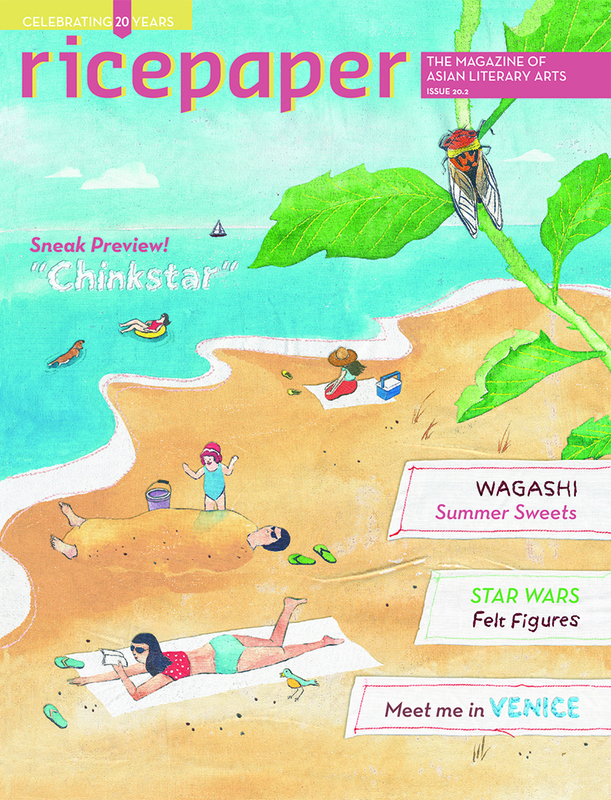 There is also plenty of magazine programming at this year’s festival. As always, the Magazine Life Tent will feature a wide variety of informative presentations, including “How To Make Your Home Magazine Beautiful” with Western Living‘s Nicole Sjostedt and “Cheap Eats: Healthy Eating on a Budget” with Health Action Magazine contributor Sondi Bruner, as well as panels and other magazine-related discussions and presentations. You will also find literary magazine contributors reading in the Poetry and Authors Tents. For the comic, zine, and graphic novel enthusiast, be sure to check out The Word Under The Street, inside the library and downstairs in the Alice MacKay Room. In addition to visiting with the awesome exhibitors, you will also have the chance to learn from the experts! 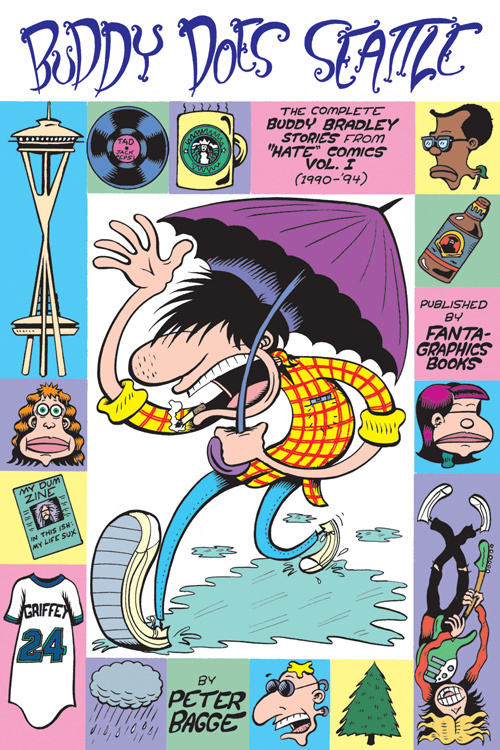 Peter Bagge, Robin Thompson, and Gord Hill will each give a one-hour workshop, so be sure to arrive early to ensure your spot! In addition to all the fantastic literary events at The Word On The Street, you will also find some great entertainment on the Mainstage. 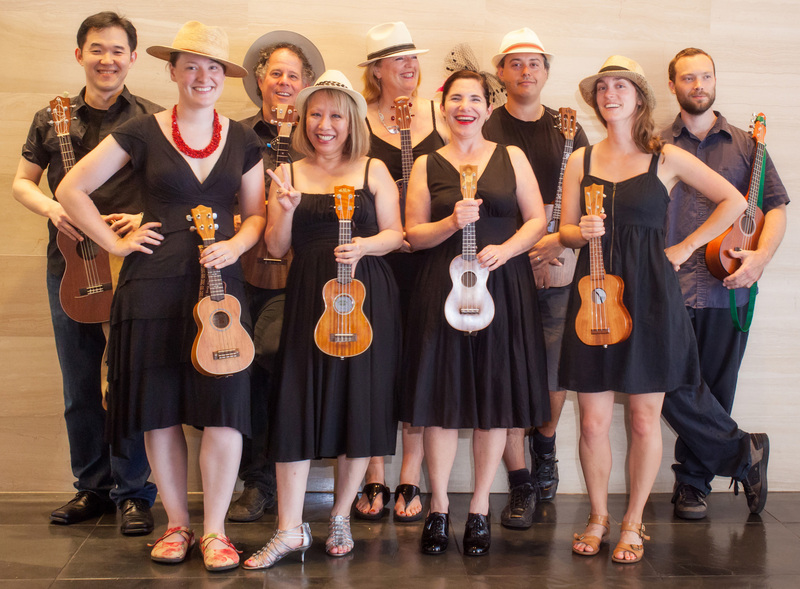 With the Carnival Band, Ukesters, Vancouver Youth Poetry Slam Team, Upbeats, and more, there will be plenty of fun performances for the whole family to enjoy! Speaking of families, there is definitely plenty of programming and activities perfect for you and your kids! 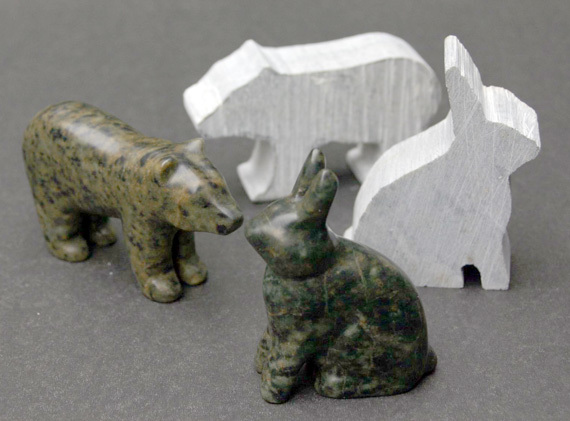 Visit the Kids Tent for author readings, the Family Stage for more performances, and the Family Literacy Tent for your chance to make a collage button and to try your hand at soapstone carving. There are also young adult readings in the Authors Tent! Check out our What’s On page for a full listing of venues and programming for the 2012 festival. You can also view the full festival program online. Under 3 Weeks Until Word Vancouver Returns!